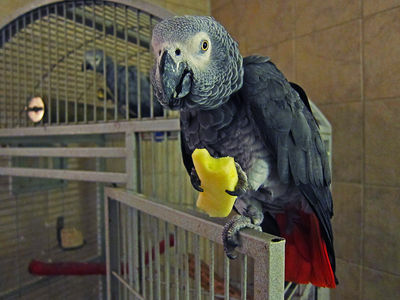 Some parrots can be finicky eaters. They don’t always choose things that are good for them. But it’s important to ensure they are getting the proper nutrition. 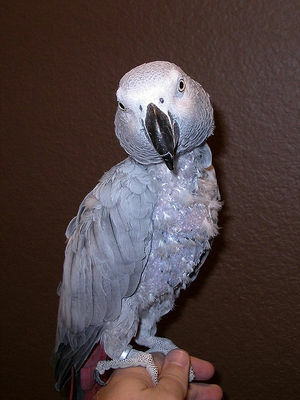 Researchers have discovered that the major cause of mortality among pet birds is malnutrition. Feeding your bird a seed only diet is dangerous to his/her health. Seeds alone do not provide all the essential nutrients and create an unbalanced diet. If your bird has been on an all seed diet, it’s time to introduce foods that are high in Vitamins and Calcium. Begin changes gradually with small bits of leafy greens, cutting back on seeds. You may also add a high quality pellet food. Your bird may look askance at the bits of fresh veggies offered daily. 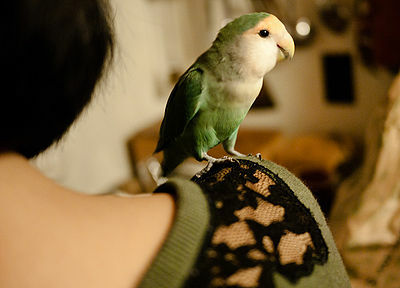 But birds are curious creatures and the bright colors will soon attract him/her. A valuable protein you can add to bird’s diet is the bean. Soak and cook dried beans, most birds love them Fresh veggies also provide protein – peas, kale, Brussel sprouts, broccoli, collard greens, lettuce especially Romaine lettuce, parsley, chicory, spinach, beet greens, Swiss chard, cabbage, watercress – all are good choices. Go easy on fruits that have high sugar content. Fresh clean water is essential to the health of your bird. Some birds like to dunk their food in the water, so check regularly and change the water before giving bacteria a chance to find a home there. Treats such as popcorn are okay in moderation as long as there’s no salt, sugar or butter. And that goes for any treats.